On Monday, we updated our case at Antiques On Second, in Milwaukee, WI (here’s a map). 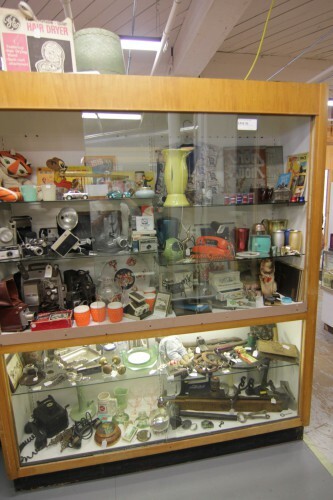 We added lots of mid-century mod items, and we’ll post photos of individual gems on our Facebook page in the next few days (so be sure to “like” us so you won’t miss the pics!). For now, you can click the image below to see a much larger view. Our case is #95, located on the third floor of the shop. It’s easy to find our case: get off the elevator, turn right & walk a few steps to the desk and the case is there on the left!